In India, there is a tough competition in the entry-level hatchback segment in the automobile industry. After the launch of new Santro on October 23, the competition has enhanced in the automobile sector. In India, the biggest competitor of Maruti is Hyundai as the South- Korean automobile company has recently launched the new Santro at an economical price. 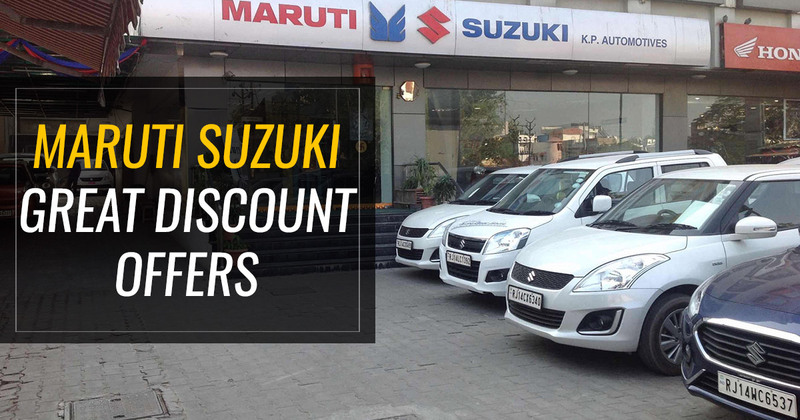 To remain competitive in the automotive industry Maruti has started offering great discounted offers on its WagonR, Celerio, and Ignis models in the new year ending season sale, however, Maruti is offering a maximum discount of Rs 70,000 during the sale. Customers can avail a discount of Rs 70,000 on the purchase of WagonR. Petrol and Diesel variant comes with a cashback of Rs 30,000, while CNG variant is getting a discount of Rs 25,000 in new a year ending season sale. Exchange bonus of Rs 35,000 and Rs 30,000 is available on WagonR AMT and Manual variant respectively. A corporate Discount of Rs 5000 being offered by Maruti on the purchase of WagonR. Maruti is offering a discount of up to Rs 65,000 on its Celerio model. Apart from that, the company is also offering great cashback offer, exchange bonus and corporate discount on the purchase of Maruti Celerio which may vary as per the different variants of the car. The company is offering a cashback discount of Rs 30,000, Rs 25,000 and Rs 20,000 on AMT, Manual and CNG variant respectively. The customers can avail a discount of up to Rs 65,000 on Maruti Ignis which includes cashback discount of Rs 35,000, a corporate bonus of Rs 25,000 and exchange bonus of Rs 5000 respectively.